Last Call for 2011 Global Education Conference Proposals! We started accepting proposals this past week, and they are being approved in the order submitted. If your proposal is accepted, you then choose a time slot from the available times to present. This is to allow you to choose a day and time to present that are convenient to you. Potential presenters should also join the presenters group on the website to receive email announcements specific to presenters. Awesome keynote session are starting to be announced, and the conference schedule is filling with a variety of general sessions (you can see them in your own time zone HERE). And there are badges, a poster, and press releases available on the Press and Promotional page of the network! Join me Thursday, October 13th, for another live and interactive FutureofEducation.com webinar with Gina Bianchini, co-founder and former CEO of Ning, and now creator of the new Web-based service Mightybell. Mightybell is based on the idea that "success comes from thinking big, but acting incrementally," and so the platform allows you to create and share an "experience." An experience is an organized series of step-by-step “actions” users can follow--however, in true Gina B. style, participants in a Mightybell experience are not alone and they become a community, able to comment, communicate, and support each other at every step. Now, if you're beginning to see the connection to education (social learning! ), you're going to really enjoy this conversation with Gina as we explore Mightybell, her plans for the service, and its possible uses in the education world. If you want to explore Mightybell in advance, you can join over 650 fellow "travelers" in the experience I created called "Teacher 2.0: Using the Web for Your Personal and Professional Growth." Recordings: The full Blackboard Collaborate recording and a portable .mp3 audio recording will be available the day after the interview. From Wikipedia: Gina Bianchini was CEO of Ning, which she co-founded with Marc Andreessen. Since leaving Ning in March 2010, she has been an executive in residence at the Andreesen Horowitz venture firm. Bianchini re-emerged in September of 2011 as head of a privately-funded Palo Alto start-up called MightyBell, which is offering a social networking app designed for creators of "experiences" to offer step-by-step directions to those who might want to accomplish goals such as running marathons or going on survival expeditions. Prior to Ning, Bianchini was co-founder and president of Harmonic Communications which was acquired by Dentsu. 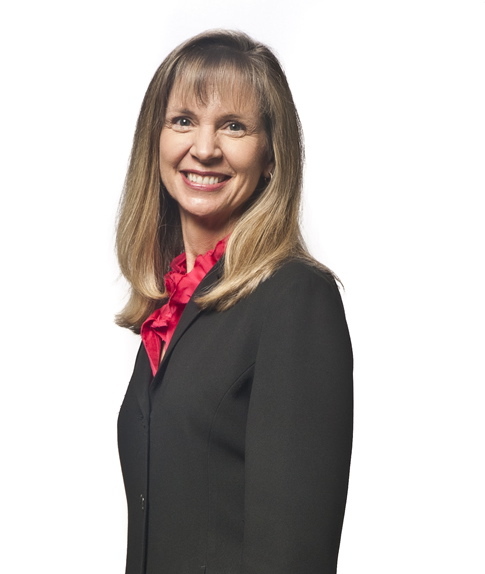 She has also held positions at CKS Group and Goldman Sachs & Co.
Bianchini holds a B.A. from Stanford University and an M.B.A from Stanford Business School. Join me Tuesday, October 11th, for a live and interactive FutureofEducation.com webinar with Timothy D. Wilson on his new book, Redirect: The Surprising New Science of Psychological Change. The book is not only a fascinating look at the inner workings of personal change (often with regard to self-perceptions in an academic environment), but it is also a clarion call to actually test and measure the results of social change programs--programs which often receive significant financial and cultural support while not actually producing the results they promise, and sometimes even making things worse. 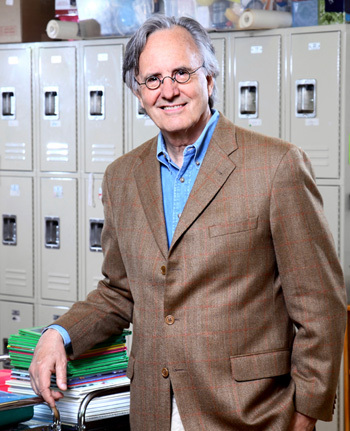 We'll talk with Professor Wilson about his book, his experiences in education, and what the implications of his work might be as we think about the current education reform movements. From Wikipedia: "Timothy D. Wilson is the Sherrell J. Aston Professor of Psychology at the University of Virginia and a researcher of self-knowledge and affective forecasting. "Wilson has published a trade book, Strangers to Ourselves and co-authored Social Psychology an introductory textbook on social psychology. The textbook has been translated into Italian, Polish, Chinese, German, Russian, and Serbian, and Strangers to Ourselves has been translated into Dutch and Japanese, with Chinese and German editions forthcoming. "Wilson is best known for his research on self-knowledge, including affective forecasting. Along with Richard Nisbett, Wilson authored one of Psychology's most cited papers 'Telling more than we can know - Verbal reports on mental processes' that demonstrated the difficulty humans have in introspecting on their own mental processes (Psychological Review, 1977, cited 2731 times as of May 22, 2007 according to ISI Web of Knowledge). His longtime collaborator is Daniel Gilbert of Harvard University. "His research has been supported by the National Institute of Mental Health, the National Science Foundation, and the Russell Sage Foundation. In 2001 he received an All-University Outstanding Teaching Award from the University of Virginia. In 2009, he was named as a fellow to the American Academy of Arts and Sciences. "He lives in Charlottesville, Virginia, with his wife, Deirdre Smith. He has two children, Christopher and Leigh." Publisher Description: "What if there were a magic pill that could make you happier, turn you into a better parent, solve a number of your teenager's behavior problems, reduce racial prejudice, and close the achievement gap in education? Well, there is no such magic pill-but there is a new scientifically based approach called story editing that can accomplish all of this. It works by redirecting the stories we tell about ourselves and the world around us, with subtle prompts, in ways that lead to lasting change. In Redirect, world-renowned psychologist Timothy Wilson shows how story-editing works and how you can use it in your everyday life. "The other surprising news is that many existing approaches-from the multi-billion dollar self-help industry to programs that discourage drug use and drinking-don't work at all. In fact, some even have the opposite effect. Most programs are not adequately tested, many do not work, and some even do harm. For example, there are programs that have inadvertently made people unhappy, raised the crime rate, increased teen pregnancy, and even hastened people's deaths-in part by failing to redirect people's stories in healthy ways. "In short, Wilson shows us what works, what doesn't, and why. Fascinating, groundbreaking, and practical, Redirect demonstrates the remarkable power small changes can have on the ways we see ourselves and the world around us, and how we can use this in our everyday lives. In the words of David G. Myers, 'With wit and wisdom, Wilson shows us how to spare ourselves worthless (or worse) interventions, think smarter, and live well.'" 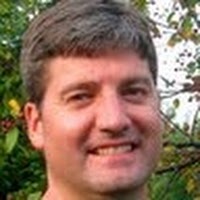 Join me Tuesday, October 4th, for a live and interactive FutureofEducation.com webinar with Peter W. Cookson, Jr., on his book Sacred Trust: A Children's Education Bill of Rights. Peter will discuss his "proposed education bill of rights for American students, including ideas on how to restructure the United States Department of Education for greater equality and improved academic achievement for all learners." Recordings: The full Blackboard Collaborate recording and a portable .mp3 audio recording will be available shortly after the show. From Peter's Website: Peter Cookson’s knowledge of schools and children’s learning needs comes from a lifetime of teaching, researching, and working to improve the quality of education for all children. His first job after college was as a case worker for the New York City Department of Social Services. His days were spent visiting the homes of the city’s most disadvantaged citizens. It is to these families, especially the children, that he owes a life’s commitment to the cause of educational justice. Peter went on to teach social studies at a large rural public school and history and Latin at a private day school. He returned to NYU to receive a Ph.D. in the Sociology of Education and continued on with a post-graduate certificate from the Harvard Graduate School of Education and an M.A. from the Yale Divinity School. He has taught and held leadership positions at several leading colleges and universities, including Teachers College, Columbia University, where he currently teaches the Sociology of Urban Education. He also currently works with schools around the country as the founder of a Washington, D.C. based consulting firm, Ideas without Borders. Throughout his career he has written, lectured, debated, and researched extensively on the democratic importance of equality of educational opportunity, 21st century learning, and educational innovation. 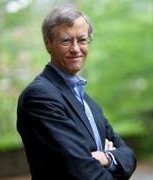 Some of his works include Preparing for Power: America’s Elite Boarding Schools, co-authored with Caroline Hodges Persell (1985); School Choice and the Struggle for the Soul of American Education (1994); Expect Miracles: Charter Schools and the Politics of Hope and Despair, co-authored with Kristina Berger (2002); and his latest book, Sacred Trust: A Children’s Education Bill of Rights (2011). He is completing another book to be published in 2012, The Great Unequalizer: Class and American Education. Peter’s wife, Susan, worked for many years as a family therapist and is now a professional artist. They have two children and four grandchildren. From the Website: Education sociologist and policy expert Peter Cookson boldly describes an actual education bill of rights for American students that will ensure greater equity and improved academic achievement for all. He presents a national blueprint of action that has been endorsed by major political, economic, and educational leaders. Included are examples from a wide range of public and private schools in rural, urban, and suburban areas that illustrate problems and solutions. Through vivid storytelling and relevant research, Cookson provides specific and innovative steps for creating a concrete action plan that will lead to just, equitable, and first-class schools. The book includes a Foreword by Rudy Crew, Former Superintendent of Miami-Dade County Public Schools and Former Chancellor, New York City Board of Education. Live Interview Thursday Sept. 29th on "iPads in the Classroom--a Success Story"
Working in conjunction with the Michigan Department of Education and Emmy Award Winning Director, Allyson Rockwell, the Mason-Lake and Oceana ISDs are working on a documentary film chronicling the success in the pilot kindergarten and second grade iPad classrooms in Ludington, Michigan. The classroom pilots, funded by 21st Century Learning Environments, have had "tremendous success" and are gaining much attention at the state and national levels. The documentary project has already received funding, and those involved have submitted a grant application to expand the ipads to all pre-K-2 students in the three counties. We'll talk with members of the team involved in this project, and give time for Q and A. Recordings: The full Blackboard Collaborate recording and a portable .mp3 audio recording will be published here after the show. As State Director of Educational Technology and Data Coordination at the Michigan Department of Education (MDE), Bruce Umpstead is responsible for implementing Michigan's online learning graduation requirement and the State Educational Technology Plan. His major professional points of emphasis are using technology to support research based school improvement and innovation programs, creating incentives for technology adoption, and taking technology-based innovations to scale in education. Ashley McDonald has been given an amazing opportunity to implement iPads in her kindergarten classroom for the past two school years. Her students have accomplished far more than she ever imagined, as she feels iPads are a great resource to level instruction so that all students needs are being met. She attended Grand Valley State University from 2002 to 2006 with undergrad in Elementary Education, emphasis in Integrated Science. Her first teaching job was a kindergarten position in Phoenix, Arizona. While in Arizona she obtained my Masters degree in Early Childhood Instruction, specializing in reading. This is her 6th year teaching. Director/Producer Allyson Rockwell, has worked produced/directed numerous corporate, political, industrial and educational videos. She has produced documentary films from the Sub-Arctic of northern Quebec to Leon, Nicaragua on topics ranging from a controversial hydro-power plant and it's effect on the environment to a holocaust survivor who’s inspiration helps to change our world. Recently she won an Emmy award for “Detroit Remember When: The Jewish Community” which documented the history of the Jewish community in the Detroit area and just completed and educational outreach program called “FlipClips” where she worked with teens to create short films about what makes them proud of their community. As a producer for smART TV, Rockwell produced an educational series bringing arts and culture programming to middle school students. She was also a producer for “The Learning Classroom: Theory Into Practice” which is a 13-part video- and Web-based course for teacher education and professional development. It was created through a partnership between the Annenberg Foundation and the Corporation for Public Broadcasting with the course content and this print guide developed by Stanford University’s School of Education. The project uses media and telecommunications to advance excellent teaching in American schools. 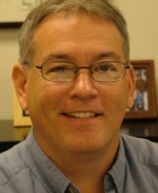 Tom Johnson serves as the Director of Technology for the Mason-Lake and Oceana ISDs, two regional intermediate school districts in Western Michigan. His career in education, both as student and educator, has been non-traditional. Leaving college after three years and entering the private sector, Mr. Johnson was drawn to a 'make a difference' and a career in education. He worked twelve years in K-12 education before completing his bachelors degree in Community Development and Administration. However, this didn't limit his impact as he strove to make education relevant for students and to leverage technology to do so. Earning his Masters in Education, completely online, in under two years his focus narrowed on impacting teaching and learning directly. Having successfully written and managed nearly 100 grants, most in educational technology, over the past eighteen years, his vision for the future of education is one of students engaged and collaborating with learning driven by curiosity and social interaction. As someone who personally longed for relevance and the freedom to learn in his own way and at his own pace, Mr. Johnson is an advocate for and believes in the potential of all students. 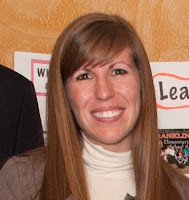 Amber Kowatch is a Second Grade Teacher at Franklin Elementary School in Ludington, MI. She is a graduate of Lake Superior State University where she is currently working to complete her master’s degree in Curriculum and Instruction. Her first teaching job landed her in Sault Ste. Marie, MI at a well funded charter school that used technology to its’ fullest potential. This has led Amber to do everything possible to use technology in her classroom. As most public schools are faced with difficult budgets, Ludington Area School District is as well. Not having the funding to purchase technology, Amber was approached to lead a pilot program using iPads one to one in her second grade classroom. This project has gained national attention and is currently being used as the basis for a documentary. The iPad pilot has been extremely successful in engaging Amber’s students on their own educational journey and has changed the way her students learn and the way she teaches! Join me Tuesday, September 27th, for a live and interactive FutureofEducation.com webinar with Cecilia d’Oliveira, Executive Director, OpenCourseWare (OCW) at the Massachusetts Institute of Technology (MIT). 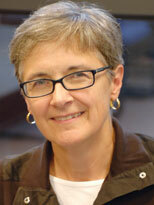 Cecilia was the technology director for OCW since 2002, and in 2008 was named executive director. She was also a winner of a 2010 WISE Award. Recordings: The full Blackboard Collaborate recording a portable .mp3 audio recording will be published here after the show. Institute of Technology. Ms. d'Oliveira leads the team that works with MIT faculty to publish MIT's course materials openly and with organizations around the world who are implementing their own opencourseware programs as institutional initiatives or national education policy. 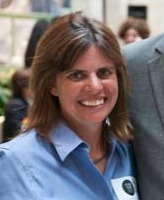 From 2002 to 2008 she served as MIT OpenCourseWare's Technology Director with responsibility for building the technical infrastructure for the program. Over 25 years she has worked in a variety of information technology positions, focused on technology innovation in support of MIT education, research and business initiatives. Ms. d’Oliveira received a Master's degree from M.I.T. 's Sloan School of Management and a Bachelor's degree in Computer Science from MIT. From the OpenCourseWare Site: In 1999, MIT Faculty considered how to use the Internet in pursuit of MIT's mission—to advance knowledge and educate students—and in 2000 proposed OCW. MIT published the first proof-of-concept site in 2002, containing 50 courses. By November 2007, MIT completed the initial publication of virtually the entire curriculum, over 1,800 courses in 33 academic disciplines. Going forward, the OCW team is updating existing courses and adding new content and services to the site. Live Tuesday Sept. 20th with Filmmaker Bob Gliner on "Lessons from the Real World"
Join me Tuesday, September 20th, for a live and interactive FutureofEducation.com webinar with award-winning documentary producer Bob Gliner about his education movie, Lessons from the Real World: "Learning to read, do math and other subjects happens when students care about what they are learning, rather than drilling them with subject matter largely divorced from their real lives. 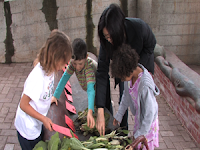 This engaging documentary provides a first hand look at K-12 schools and classes that weave community and societal problem solving through their curriculum as a way of both preparing students for active participation in democratic society, as well as motivating them to learn basic skills as part of a meaningful educational experience." Recordings: The full Blackboard Collaborate recording and a portable .mp3 audio recording will be available soon after the interview. The LearnCentral event page is http://www.learncentral.org/node/172591. Bob Gliner is an award winning documentary producer with more than 30 programs to his credit. His programs have appeared on PBS stations throughout the United States and have also been shown to classes in a wide variety of university and public school settings, as well as by nonprofit organizations. His primary focus is social problems and social change - both inside the United States and throughout the world. He has shot programs in such disparate locales as Russia, Macedonia, Viet Nam, India, Tanzania, Israel, Ecuador, and Cuba. He is competent in all aspects of the production process from initial stages of researching and organizing the production to script writing, interviewing, camera and editing. He is also a professor of sociology at San Jose State University in San Jose, California. Lessons from the Real World: "Many people feel our public schools are failing, or at best, muddling through. What to do about this critical issue has almost exclusively focused on the efforts of No Child Left Behind and now Race to the Top legislation to improve test scores in core subjects like math and reading. "The future of our nation and our ability to compete in the economic marketplace with other countries is considered to hinge on these high stakes tests, with teachers, schools and entire school districts held accountable for failure. The results, afforded much media coverage, have been mixed though the process has produced many students turned off to formal education. An equally important consequence is that the increased narrowing of the curriculum to try to achieve these limited objectives, has undermined the ability of students to become active, informed and engaged citizens in a democratic society – capable of doing something about the issues which dramatically impact their lives. "Lessons From the Real World, contends, like many educators, that focusing on test scores to improve student achievement is looking in the wrong place. "Learning to read, do math and other subjects will come if students care about what they are learning, rather than drilling them with subject matter largely divorced from their real lives, and the community and societal problems which often impact those lives. "In Portland, Oregon, teachers at a wide range of schools are putting this idea into practice. While this is their story, it can help point the way to rethinking how schools everywhere can be successfully transformed. "Lessons From the Real World, a highly informative and entertaining documentary, filled with engaging teachers, students and lessons will surely bring much needed attention to a long neglected and critical aspect of the debate around public education. "Since its release in April 2011, Lesson From The Real World has aired on many PBS stations across the country. It was also screened at the SOS (Save Our Schools) Conference in Washington D.C. in July 2011 and at the AERO Conference in Portland, Oregon in August." 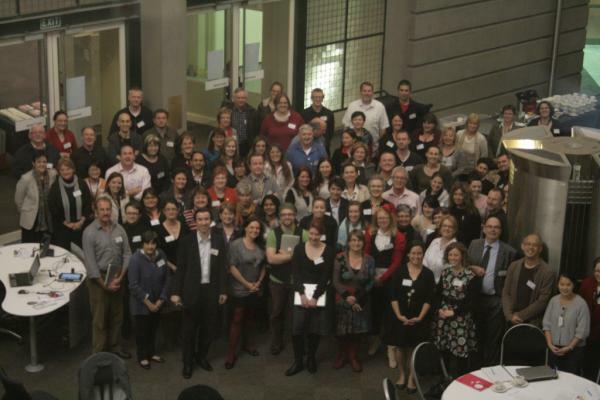 About the same time that we started organizing the super-fun Teacher 2.0 workshop in Melbourne, I got a call from Peter Slutsky. Peter previously worked at Ning and is now teamed up again with Gina Bianchini (one of the co-founders of Ning) on new project she's started called Mightybell. The history is that Gina hired me as a consultant in the early days of Classroom 2.0 to help evangelize her then-free Ning platform to the education audience. I'd gotten to know Gina by interviewing her for my education series, and I just called her and told her she needed to hire me. To her great credit (and my continued appreciation), she did hire me. The work I did for Ning for 18 months became a model for me of what I consider to be a privileged role I've had for the last five years: that of trying to authentically make a difference for educators while working for commercial companies that also allowed me to keep shepherding my free social projects. Peter and Gina were now reaching out to see if I'd consider being a launch partner (uncompensated) by creating an educational "experience" at Mightybell. While I wasn't sure I fully understood the concept, it seemed like it might be a good fit with the upcoming workshop and my Teacher 2.0 network, both of which based on helping educators to use the Web for their own personal and professional development. Basically, Mightybell is a way to create a step-by-step "experience" for others where they share that experience with fellow "travelers" through commenting and dialog. It didn't take me long, once I took the outline from our Melbourne workshop and starting creating the steps for a Teacher 2.0 Mightybell experience, to begin to see the magic of an incremental and socially-based learning experience. While I have lots of suggestions for Mightybell around filtering or organizing that community experience for specific "groups" that might want to go through an experience together (Peter is getting several emails a day from me! ), I have to say that I think this is a brilliant concept. So I encourage you to come and join me at my "Steve Hargadon's Teacher 2.0: Using the Web for Your Personal and Professional Growth." It's free and hopefully it's both fun and helpful! Please let me know what you think. Announcing the 2011 Global Education Conference! Because I was traveling, my co-chair for the 2011 Global Education Conference, Lucy Gray, took the lead on announcing our new conference website, dates, and call for proposal already. But while I might be a week (or two!) late to the party, I promise I'm just as excited! Part of my excitement is that we are organizing the conference in a Ning network. This has some tremendous advantages, including ease of communication, but also a proposal system that allows you to connect with potential presenters in advance on ideas you care about, and to comment on specific proposals. This particular brainstorm came about as part of the Library 2.011 Conference I'm running out of the Library 2.0 Ning network, so let me know what you think--I'm kind of stunned by the implications of an open proposal and networking process. But on to the actual announcement! The second annual Global Education Conference, a week-long event bringing together educators and innovators from around the world, will be held Monday, November 14 through Friday, November 18, 2011. The entire conference will be broadcast online for free using the Blackboard Collaborate platform (formerly known as Elluminate/Wimba). The Call for Proposals for the 2011 event is now open at http://globaleducation.ning.com/page/call-for-proposals. Presenters can submit proposals for general sessions focused on one of four possible tracks: Teacher Track; Student Track; Curricular Track; and Policy and Leadership Track. Proposals should focus on ideas, projects, and initiatives that promote global understanding and collaboration. The deadline for submissions is October 15 and participants will be notified of acceptance by October 30. Keynote presentations are by invitation only. Session proposals are to be non-commercial. Interest in commercial sponsorship or presentations should be directed to me at steve@hargadon.com. As we did last year, we encourage non-commercial organizations to become conference partners (we had over 90 partner organizations last year!). Conference partners will be given a spotlight session this year. More information at http://globaleducation.ning.com/page/conference-partners. We'll also be hoping for another incredible outpouring of volunteer support like we had last year (those of you who helped were AMAZING!). If you'd like to help promote awareness of the conference by serving on our International Advisory Board go to http://globaleducation.ning.com/page/intl-advisory-board, or if you are willing to volunteer to help moderate sessions (making you an absolute rockstar!) go to http://globaleducation.ning.com/page/volunteers-1. For further information, please join our network at http://globaleducationconference.com and follow conference announcements on Twitter (@GlobalEdCon) and the hashtag #GlobalEd11. Gwyneth Jones. Back to School Special: Best Year Ever! Peggy George. Fun, open, sharing session of web 2.0 tools and teaching resources. Join us and come prepared to share your favorites. Do you get excited and energized by talking with other educators about technology tools and resources? Do you often feel overwhelmed with all of the new tools and feel you don’t have time to keep up with everything? If you do, then the Mini-Geek Fest is here for you! No homework, no assignments, no cost—just an hour online, once a month to listen, share and discuss technology tools for your classroom, websites and more. Join co-hosts Kim Thomas and Peggy George in AzTEA Elluminate from the comfort of your own home. Professional Development credit (1 hour) will be available. The show will be on the second Monday of each month, 6-7PM (MST-AZ). It's not a presentation or a tutorial, but a conversation--think of it like a "show and tell" where ALL participants can contribute. Shows will be recorded and archived so you can listen to the recordings later if you can't participate in the live sessions. We look forward to an exciting and interesting conversation! Anne Mirtschin. This is an unconference Tech Talk Tuesdays session,where participants can share what they have been up to in learning and teaching. Bring your favourite technological tools, newest experiments, ideas, resources, problems, issues and open them up for discussion. Steve Hargadon. Join Steve Hargadon on Tuesday, September 13th, for a live and interactive FutureofEducation.com webinar with Harvard professor and well-known author Howard Gardner. In particular, we are going to talk about the new edition of his 1991 book, The Unschooled Mind: How Children Think and How Schools Should Teach, looking at school reform from the perspective of cognitive science. Lisa Perez. Attend this session with Anita Beaman to learn how to get teens and tweens excited about reading. This event is hosted by the Illinois School Library Media Association (ISLMA). Steve Hargadon. Join Steve Hargadon on Thursday, September 15th, for a live and interactive FutureofEducation.com webinar Sam Chaltain, DC-based writer and education activist, on his new book Faces of Learning: 50 Powerful Stories of Defining Moments in Education. Sam was a guest last year on FutureofEducation.com to talk about his previous book, American Schools: The Art of Creating a Democratic Learning Community, and we'll continue our conversation on education using his collection of the personal learning stories of fifty individuals–from well-known public figures to ordinary Americans–who share "inspirational stories about transformational teachers, powerful learning environments, and pivotal moments of self-discovery." Peggy George. Lizzie Chase, Australian educator, will share a series of free downloadable English lessons at http://otherworlds.yolasite.com for upper primary and lower secondary students, integrating Web 2.0 tools into student responses to 12 books, so that they can create multimedia texts. There is a focus on research skills, digital storytelling and visual arts tools. Luc Noordholland de Jong. Students will simulate the United Nations and debate the issue of cyber warfare. Please register via http://o-mun.org/register and learn more about our program at http://o-mun.org/about. To learn more about the event please visit http://events.o-mun.org/243896/show. Live Thursday Sept. 15 with Sam Chaltain on "Faces of Learning"
Join me Thursday, September 15th, for a live and interactive FutureofEducation.com webinar Sam Chaltain, DC-based writer and education activist, on his new book Faces of Learning: 50 Powerful Stories of Defining Moments in Education . Sam was a guest last year on FutureofEducation.com to talk about his previous book, American Schools: The Art of Creating a Democratic Learning Community , and we'll continue our conversation on education using his collection of the personal learning stories of fifty individuals–from well-known public figures to ordinary Americans–who share "inspirational stories about transformational teachers, powerful learning environments, and pivotal moments of self-discovery." Recordings: The full Blackboard Collaborate recording and a portable .mp3 audio recording will be available soon after the interview. The LearnCentral event page is http://www.learncentral.org/node/171713. 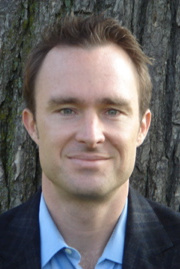 Sam Chaltain is a DC-based writer and education activist. He works with schools, school districts, and public and private sector companies to help them create healthy, high-functioning learning environments. Previously, Sam was the National Director of the Forum for Education & Democracy, an education advocacy organization, and the founding director of the Five Freedoms Project, a national program that helps K-12 educators create more democratic learning communities. Sam spent five years at the First Amendment Center as the co-director of the First Amendment Schools program. He came to the Center from the public school system of New York City, where he taught high school English and History. Sam also spent four years teaching the same subjects at a private school in Brooklyn. Sam’s first teaching experience was in Beijing, China, where he joined the faculty of the Foreign Languages department at Beijing Normal University as a visiting lecturer. He taught two American History & Literature courses to third-year undergraduates. Sam’s writings about his work have appeared in both magazines and newspapers, including the Washington Post, Education Week and USA Today. A periodic contributor to CNN and MSNBC, Sam is also the author or co-author of five books: The First Amendment in Schools (ASCD, 2003); First Freedoms: A Documentary History of First Amendment Rights (Oxford University Press, 2006); American Schools: The Art of Creating a Democratic Learning Community (Rowman & Littlefield, 2009); We Must Not Be Afraid to be Free: Stories Of Free Expression in America (Oxford, 2011); and Faces of Learning: 50 Powerful Stories of Defining Moments in Education (Jossey-Bass, 2011). Sam has a Master’s degree in American Studies from the College of William & Mary, and an M.B.A. from George Washington University, where he specialized in non-profit management and organizational theory. He received his undergraduate degree from the University of Wisconsin at Madison, where he graduated with a double major in Afro-American Studies and History. Join me Tuesday, September 13th, for a live and interactive FutureofEducation.com webinar with Harvard professor and well-known author Howard Gardner. In particular, we are going to talk about the new edition of his 1991 book, The Unschooled Mind: How Children Think and How Schools Should Teach , looking at school reform from the perspective of cognitive science and his work on multiple intelligences. 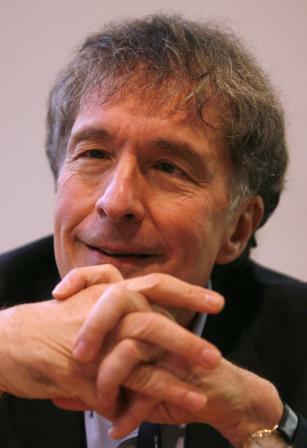 Howard Gardner is the John H. and Elisabeth A. Hobbs Professor of Cognition and Education at the Harvard Graduate School of Education. He also holds positions as Adjunct Professor of Psychology at Harvard University and Senior Director of Harvard Project Zero. Among numerous honors, Gardner received a MacArthur Prize Fellowship in 1981. He has received honorary degrees from 26 colleges and universities, including institutions in Bulgaria, Chile, Greece, Ireland, Israel, Italy, and South Korea. In 2005 and again in 2008, he was selected by Foreign Policy and Prospect magazines as one of the 100 most influential public intellectuals in the world. The author of 25 books translated into 28 languages, and several hundred articles, Gardner is best known in educational circles for his theory of multiple intelligences, a critique of the notion that there exists but a single human intelligence that can be adequately assessed by standard psychometric instruments. conducted reflection sessions designed to enhance the understanding and incidence of good work among young people. With Carrie James and other colleagues at Project Zero, he is also investigating the nature of trust in contemporary society and ethical dimensions entailed in the use of the new digital media. Among new research undertakings are a study of effective collaboration among non-profit institutions in education and a study of conceptions of quality, nationally and internationally, in the contemporary era. In 2008 he delivered a set of three lectures at New York's Museum of Modern Art on the topic "The True, The Beautiful, and The Good: Reconsiderations in a post-modern, digital era." Coach Carole. A free webinar about the E-portfolio Massive Open Online Course (EpCop MOOC), a free e-portfolio professional development activity. Peggy George. 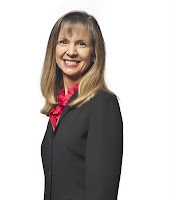 The topic for Saturday, September 10th will be “AZ Technology Integration Matrix” with special guest Cherie Stafford. Join us as Cherie shares how the Arizona Technology Integration Matrix (TIM) is used to help teachers integrate technology into the classroom. More information and session details are at http://live.classroom20.com. If you haven't used Blackboard Collaborate before (formerly Elluminate), we encourage you to view the Orientation Tutorial to prepare for the session. Each show begins at 12pm Eastern (GMT-5). Anne Mirtschin. Marc Grossman, all the way from the UK will be our global presenter for this session. Learn how to use Scratch for effective learning and programming in your classroom. Scratch is a popular, free programming language for everyone.It has been developed by MIT and allows users to develop programming skills in a user friendly environmnet and to create interactive stories, games, music and art. Outcomes can be shared online. In this session, Marc will cover the following:- Learning to Scratch -What can Scratch be used for -Where to download Scratch from! -How to move and draw with Scratch -The different types of Scratch blocks -How to find resources for Scratch. Tomas Chaskel. Taller práctico básico sobre el uso de la herramienta gratuita Prezi para el diseño de presentaciones digitales interactivas: Creación de cuenta, configuración de una presentación, botones de herramientas (Zebra), creación de bloques de texto, agregar imágenes y vídeos, conectar nodos de conocimiento, vizualizar presentaciones, compartir enlaces y diseñar presentaciones colaborativas. EXPOSITOR: Prof. Antonio Delgado- Labora como Diseñador Instruccional en la Universidad de Puerto Rico en Arecibo. Administrador de plaraformas de eLearning: MOODLE, Blackboard y Edu 2.0, Bloguero Educativo (Edumorfosis), TuiterEducador (@edumorfosis), Educador Conectivista, Colaborador en las redes educativas: Aula 2.0, EducaPR, CLED y expositor en diferentes eventos educativos nacionales e internacionales. Steve Hargadon. Join me Tuesday, August 30th, at an earlier-than-normal time for a live and interactive FutureofEducation.com webinar with Richard and Rebecca DuFour on using Professional Learning Communities to improve schools. Lisa Perez. Attend this session to learn about advocacy tips for school librarians. Tomas Chaskel. Taller práctico básico sobre el uso de la herramienta gratuita Prezi para el diseño de presentaciones digitales interactivas: Creación de cuenta, configuración de una presentación, botones de herramientas (Zebra), creación de bloques de texto, agregar imágenes y vídeos, conectar nodos de conocimiento, vizualizar presentaciones, compartir enlaces y diseñar presentaciones colaborativas. EXPOSITOR: Prof. Antonio Delgado-Labora como Diseñador Instruccional en la Universidad de Puerto Rico en Arecibo. Administrador de plaraformas de eLearning: MOODLE, Blackboard y Edu 2.0, Bloguero Educativo (Edumorfosis), TuiterEducador (@edumorfosis), Educador Conectivista, Colaborador en las redes educativas: Aula 2.0, EducaPR, CLED y expositor en diferentes eventos educativos nacionales e internacionales. Coach Carole. Webinar at 8 pm (Sydney time) Wednesday August 31st (note this event replaces the usual Tuesday session for the EpCoP MOOCers and is open to all.) My Showcase is an e-portfolio system with a difference! Dave Waller and David Sowden from My Showcase have stepped in to deliver an exciting look into their system that provides a neat segue between a personal learning space and an eportfolio. MyShowcase™ is an open source web application which offers personalised evidence gathering for e-portfolios. In our Bb C room at 8 pm (Sydney time) Join us in our Blackboard Collaborate room here: http://tinyurl.com/29tyznz See our googlesite for recording. Kate Lang. Today’s world is changing fast, and students need to be prepared to both compete and collaborate in an increasingly digitized and interconnected global society. Join Jennifer D. Klein of TakingITGlobal in this webinar to explore how to harness online tools to build transformative global learning experiences that build students’ technology skills while empowering them to be active global citizens. Sharing experiences garnered through 19 years teaching in a variety of settings, Jennifer will discuss the importance of global education and the potential of technology to connect students with global peers, humanizing global challenges and inspiring youth to work together for positive change. Recordings: The full Blackboard Collaborate recording and a portable .mp3 audio recording will be posted here after the show. The LearnCentral event page is http://www.learncentral.org/node/170480. Rebecca B. DuFour, M.Ed., served as a teacher, school administrator and central office coordinator. As a former elementary principal, she helped her school earn state and national recognition as a model professional learning community and a Blue Ribbon School. She has co-authored nine books, was one of the featured principals in the 2001 Video Journal of Education production, “Leadership in an Age of Standards and High Stakes” and was the lead consultant and featured principal in their 2003 program, “Elementary Principals as Leaders of Learning.” She has written for numerous professional journals, reviewed books for the Journal of Staff Development and authored a quarterly column for Leadership Compass, published by the National Association of Elementary School Principals. 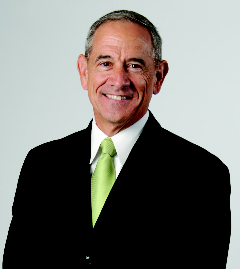 Richard DuFour, Ed.D, is one of the nation’s foremost authorities on applying the principles of professional learning communities in the real world of schools. He draws upon 34 years of experience as a public school educator – teacher, principal, and superintendent – and his two decades as a leader of one of the most recognized and celebrated schools in America, Adlai Stevenson High School District 125 in Lincolnshire, Illinois. Dr. DuFour has authored fourteen books, has published more than eighty articles on the Professional Learning Community concept, and served as a columnist for the Journal of Staff Development for nearly a decade. He has received numerous state and national awards for distinguished educational service and scholarship.